The clean, simplistic exhibits in the Natural History Museum of Utah highlight the vast collection that the museum has to offer, with everything from dinosaur fossils to delicate butterfly samples. Behind the scenes is Exhibits Manager & Senior Exhibit Designer Tim Lee, who has been designing exhibits for the NHMU for 14 years, in what Lee refers to as “storytelling through space.” Even at the entryway to the museum, there is an eye-catching collection wall of over 600 objects and artifacts, hung carefully in a multi-story glass case. The cascade of colors—the brightly colored butterfly wings and small amphibian specimens, among other artifacts—greets visitors from both sides and is Lee’s own design. “I try to make the objects the stars and the stories at the center of every experience,” he says. 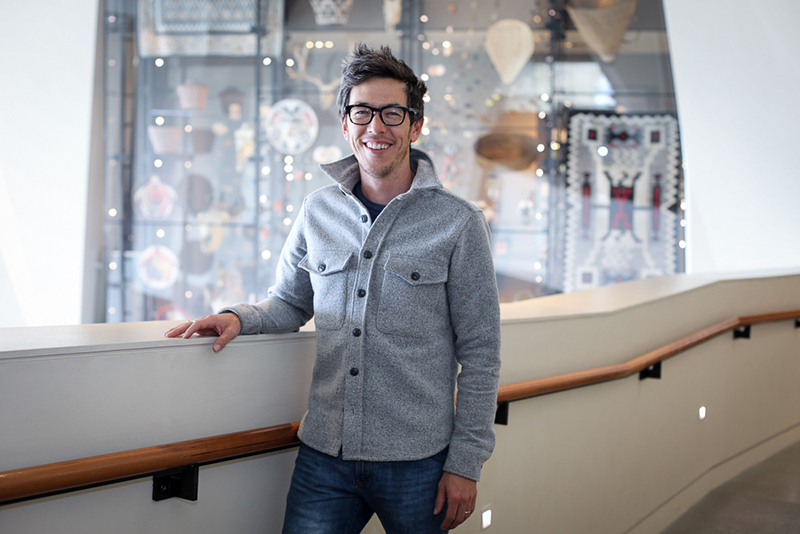 For Lee, the most rewarding and challenging aspects of designing for the NHMU is creating a connection between the various researchers and the museum visitor without losing any of the integrity of the research involved. “Earning a scientist’s trust to hold their knowledge and present it in the way that you think will be most accessible—that’s one of the biggest obstacles,” he says. This includes updating displays to keep up with the rapidly developing research and editing displays that do not engage the visitor as intended on an almost daily basis. 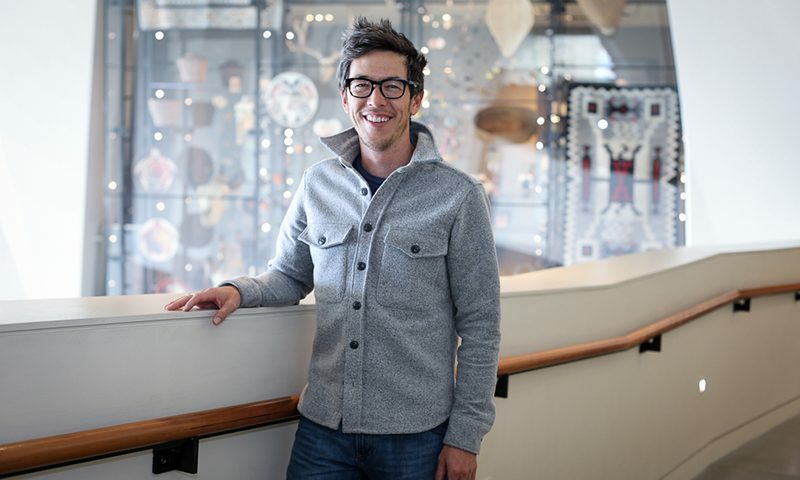 To Lee, the constant changes in the world of science are the most exciting thing about his job and about science in general, though he credits his “day-to-day survival mentality” in being able to keep up and keep his designs relevant and fresh for museum visitors. Some of the changes slated to take place in the NHMU’s near future are the addition of new species to the dinosaur fossils in the “Past Worlds” exhibit, as well as updating the “Utah Futures” exhibit, which Lee says is always a work in progress. Editor’s note: The first version of this article indicated that the Natural History Museum of Utah houses thousands of artifacts in its collections, which we’ve amended to 1.6 million. Additionally, the previous version said “dinosaur bones” in the fifth paragraph, which has been updated to “dinosaur fossils,” as it is the correct distinction. We’ve also revised the same sentence with regard to the dinosaur fossils’ exhibit, “Past Worlds,” which reflects the biodiversity in said exhibit.